The unveiling of this sanctions package and the fractures that underlie it remind why you need to have gold in your retirement portfolio. Gold is the historically proven safe haven hedge that protects against market decline. It is why gold still glitters for many world leaders and why gold makes sense in an IRA. It was actually the European Commission that called on the various national governments to take action. They are requesting the member states to enforce discipline on Poland because it has strayed from the important democratic values of the EU block. This is unprecedented because the commission has never opened such serious proceedings against a member state before. In the end, the consequences for Poland could include the loss of Polish voting rights in the EU as well as serious economic penalties. Yet such a decision heralds a major split within the European Union itself. Major Western powers led by France's President Emmanuel Macron and Germany's Angela Merkel are solidly behind it. It demonstrates how the level of trust has substantially deteriorated between the largest Western states and the Eastern members. It also reveals how the European Union has moved its focus away from its banking woes and immigration crises on to the rising populist trend that has rejected many of the values of the group. Poland is not the only member country they are sending a message to with this action. The decision to move forward is also a warning to the government of Hungary. Hungarian Prime Minister Viktor Orban has pushed for reducing the liberal framework that underlies what is still the largest trading group on the planet. The consequences for Poland could include financial punishments as well as their potentially lost voting rights. Yet despite this, Polish President Duda signed the group of bills that he had helped to draft in part. He proceeded to defend his choice and the legal changes by arguing that the judicial system of Poland will actually be more democratic after they come into effect. President Duda also argued that the laws have been significantly improved since they were first controversially introduced. Now the bills concentrate on laws that will require two fifths of sitting Supreme Court Justices to retire. Politicians will then have influence on subsequent appointments to the court. Hungary has its share of critics who claim that Orban has been building an “illiberal state” in the media and judicial branches dating back to 2010. Yet the country has managed to steer clear of major EU punishments to date. Can Hungary Block the Proceedings? Hungary is not merely bluffing with its threat to block the EU proceedings. In order for the block to put sanctions on one of its own members, they must have complete support from all other 27 EU state leaders. This means that Hungary by itself can stop the Article 7 proceedings alone. Where the EU may be able to punish Poland despite Hungary's best efforts is in the upcoming negotiations for aid over the 2021-2027 budget. This must be negotiated and is not easy to veto. The two nations are also undergoing other legal proceedings from the EU on various issues which include their environmental policies and treatment of their civil groups. Yet Hungary's Orban has pledged to continue arguing its rights to obtain economic convergence aid with or without meeting rule of law conditions. The potential impacts on Poland are significant. The EU has given them three months in which they can rectify reforms to the judicial systems. After this, the country's future aid from 2021-2027 will be called into question. The tensions over Poland's battles are also revealing cracks in the EU alliance that threaten instability for the world economy too. Poland and Hungary are not alone in the EU. They are members of a block within the block called the Visegrad 4. The Czech Republic and Slovakia stand with them. Austria has been pulled into a closer orbit as well since the election of Sebastian Kurz this fall too. The European Union remains the world's biggest trading block. Its integrity and ability to overcome its many problems are a significant threat to the global economy. 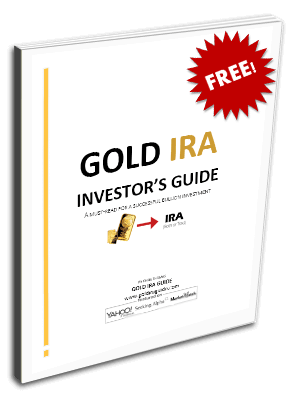 This is why you need to be aware of IRA-approved gold and the various other IRA-approved metals that can safeguard your retirement portfolio. Think about the top 5 gold coins for investors before a geopolitical trend such as the problems within the EU drive prices higher.